Great Britain will face Canada, USA, Finland, Germany, hosts Slovakia, Denmark and France next year in their first return to the top level of the World Championship since 1994. GB have been placed in Group A and will play their seven group matches in the city of Kosice. USA and Canada were beaten semi-finalists at this year’s World Championship, before America beat the Canadians 4-1 to secure the bronze medal. 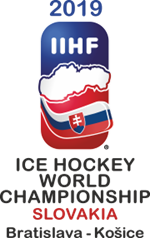 Current world champions Sweden are joined in Group B by Russia, Czech Republic, Switzerland, Norway, Latvia, Austria and Italy, with matches taking place in Bratislava. The 16-team tournament will run from 10th to 26th May with teams playing each other once in the group stages for a total of seven group games. The top four teams from each group will advance to the quarter-finals and the bottom team in each group being relegated to Division 1 Group A.
GB secured their place in the top flight by winning four of their five games in Division I Group A to claim the gold medal in Budapest last month. Head coach, Pete Russell, said: “Seeing the teams we will be playing next year really makes the magnitude of what we achieved in Budapest hit home. To play in Pool A is the ultimate and we are going to get to do that next season. “It’s a fantastic group that awaits us in Slovakia. It’s going to be an amazing experience and we will be facing some of the best players on the planet. “It is something that every one of us will embrace and this group of players has earned that right with the fantastic achievement in getting promotion last month. “The hard work will start straight away and we have a lot of planning to do over the next 12 months. “It is going to be an amazing year for British ice hockey and we will be going to Slovakia with the aim of continuing to surprise people again.